We install all types of air conditioners and support all major air conditioner unit brands, there is no brand or model that we are not familiar with. We provide installation services to residential as well as commercial buildings. 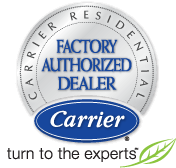 Our certified hvac specialist technicians, are available around North Jersey around the clock. With their extensive experience in the field of hvac, they’re familiar with all sorts of units and environment and can provide best advice on what unit and what set up is most suitable for a certain situation. They also carry around with them the most updated equipment in their vans at all times. We’re always prepared to answer emergency calls within 45 mins anywhere in North Jersey. So call us and schedule your air conditioner installation appointment at your date and time of convenience so that we can arrive on the scheduled date and get the air condition installed and Lo! 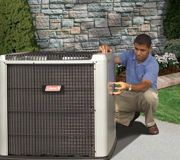 Start enjoying the cool air through out the summer season and if at any point of time you feel that your AC is not functioning efficiently again you can call All Week for Air Conditioner Repair service. We support air conditioning unit installations for all major brands!